Marble in itself is one of the most elegant natural stones and when used in interior or exterior architecture, it beautifully boosts the décor of any space. Marble stones are generally used for flooring and is a great option to adorn the ground surface in the most graceful manner. Indian marble stones are globally acclaimed for their rich quality as well as captivating shades and veining patterns. In case you are looking for Indian marble, Regatta Universal Exports, a leading manufacturer and supplier of marble in India, can be a wise choice as it offers high-quality marble products at very competitive prices, and known for its dedicated customer service and timely deliveries. Marble is comparatively a porous and soft natural stone, and requires to be cleaned with care. In case of flooring, marble observes more traffic and needs to be handled in a different way when it comes to maintenance. However, they are a couple of ways by which one can safely clean the marble floors. 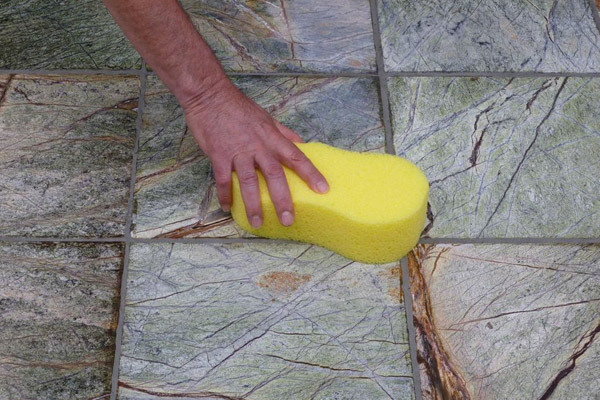 Using prescribed cleaning stuffs and avoiding materials that might damage marble, one can ensure safe cleaning of this stunning natural stone. Make Use of Hot Water: Weather it is simple water or a water-based solution, it is always better to use the water, which is hot. This will be effective in removing grimes. Using hot water will also reduce chances of damaging the marble floors with harsh solvents. Try Using Distilled Water: This is almost the purest form of water with nearly zero impurities and mineral content. Hence, using distilled water prevents possibilities of staining and discoloration of marble surface that might occur with impure water. Addition of Detergent in the Water: Add some detergent to the distilled, hot water in a bucket. As per the directions, dilute the solution and mix completely. Use only pH neutral soap for preparing the solution. Commercially available marble cleaner can also be used as per the directions given in the user manual. Using a Soft Mop: Always use a mop with soft head like the one with microfibers. Dip the mop into the solution and wring out to remove excessive water. Now, mop the floor with short and overlapping stokes. Note: After mopping an area of around 1-2 square meters, one should rinse the mop. However, this also depends on the amount of dirt on the marble floor. Repeat the Mopping: Once done with the detergent solution, mop the floor, but this time using clean water with normal temperature. This helps in the removal of left debris and dirt particles as well as suds on the floor. Frequently Changing the Water or Solution: Keep changing the detergent solution and even water at short intervals while mopping. Else, the dust particles in the mop can cause scratches or streaks on the floor. Dry the Floor: For this, use a soft, dry and clean towel or cloth. Water or detergent solution should be wiped off completely from the surface until it becomes dry. Any soap traces if left, can possibly seep inside the stone through its porous surface and cause discoloration. Immediate Washing of Floors after a Spill: Ay spill on the marble surface should be removed as soon as possible, so as to prevent the porous surface to absorb the spill deep inside the stone. This might cause staining or discoloration of the marble. Note: A moist cloth with microfibers is the best stuff to blot up the entire fluid from the marble surface. Using a pH Neutral Solution: Cleaners that are pH neutral doesn’t cause any harm to marble floors. Avoid using acidic substances, such as vinegar, ammonia, ceramic cleaners and citrus that might otherwise create scratches on the surface or dull the shine of the marble. Don’t Let the Floor Air Dry: If the floor is left to air dry, water or any solution may get soaked into the marble, which may cause discoloration. 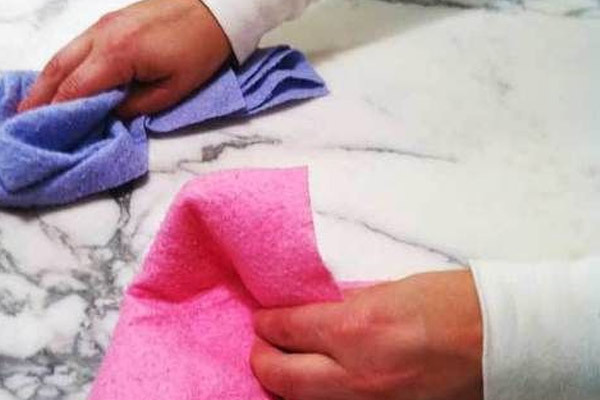 Removal of Scuff Marks: If you are unable to remove scuff marks or any other marks on the floor with a normal wash, then a felt pad can do the job. Soak the pad in water-based detergent solution and rub it along the grain on the floor. Note: Avoid rubbing in circular motions, which would otherwise damage the marble floor. Sweeping the Floor with a Mop: A soft dust mop or broom with delicate bristles is required for sweeping the floor. Remove as much debris as possible with special focus on areas near the walls and doors. Using a Vacuum Cleaner: While employing a vacuum cleaner for debris removal, special care should be taken to prevent floor damage. The plastic on the nozzle of the vacuum cleaner or on its wheel may scratch or etch the floor. Note: In case there is the facility of central vacuum system at your home, you can make use of a soft attachment on the nozzle. It is suggested that you should initially test the attachment in inconspicuous areas like behind the doors. Using Mats and Rugs at Home Wherever Possible: Rugs and mats can easily accumulate debris, which makes the task of sweeping or vacuum cleaning hassle free. Moreover, mats and rugs protect the marble floors observing high-traffic from scratches. 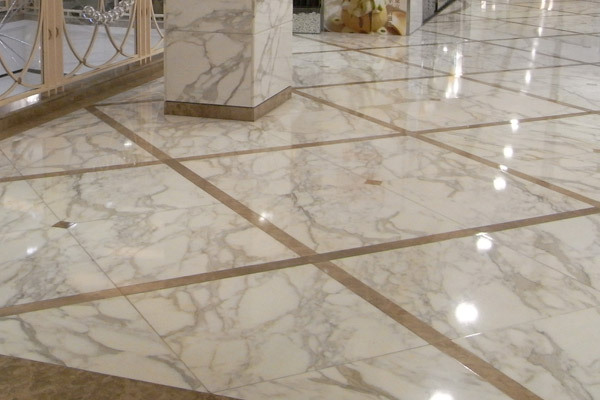 Following the above discussed suggestions, you can easily maintain your marble floors and keep them shining like a new for decades after installation.